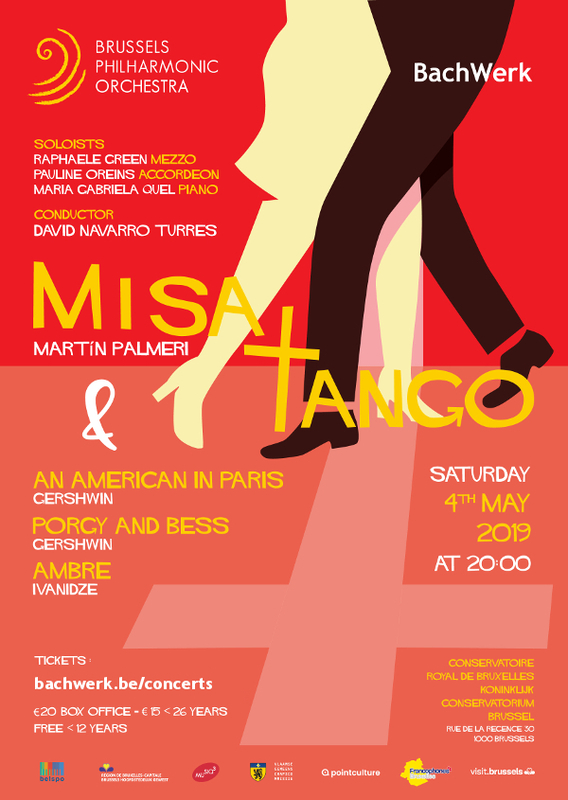 Uniquely combining the sounds of tango music and classical music, Misa Tango, is both beautiful and fun, with an incredible power of seduction. With the superb mezzo, Raphaële Green, laureate 2017 of the MMAcademy of the Théâtre Royal de la Monnaie, the magic accordion of Pauline Oreins and the nimble fingers of the pianist Maria Gabriela Quel. The Brussels Philharmonic Orchestra also performs Gershwin’s Symphonic Suites of Porgy and Bess and An American in Paris. Tickets €20 / €15 for under 26 year olds. Free for children under 12 years of age. To buy tickets for this concert: Fill in the form below and complete a bank transfer for the total amount. We will send you an email when your tickets are available for collection. If you have any problems, contact us. We are currently experiencing technical problems with our order form. If your order does not appear to go through, please email your ticket request to us . Apologies. We are working to find a solution. 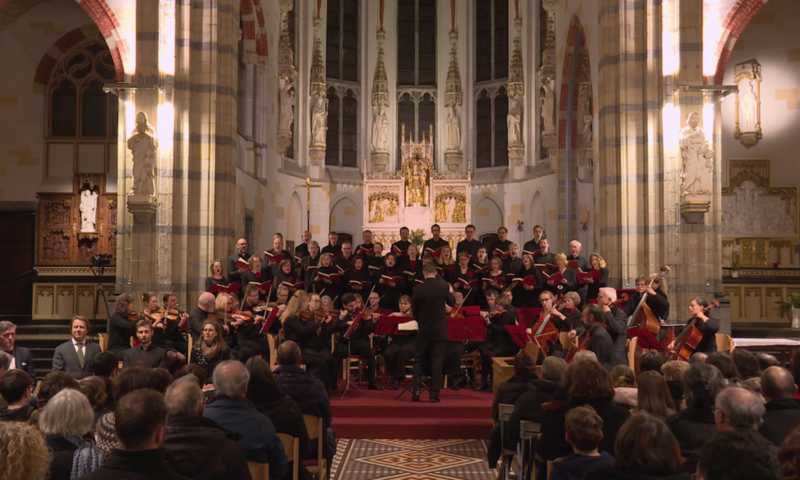 Join our mailing list to be kept informed about BachWerk concerts and events.